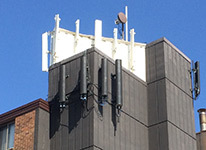 Representing property owners in all aspects of wireless communication equipment on their property. NCRER is a leading privately owned company that specializes in telecommunication real estate and is a broker for 1,000 rooftops across the county. We generate revenue for our clients in bringing new telecommunications revenue to their buildings from wireless carriers, fiber optics and cable providers. NCRER is uniquely positioned to offer landlords assistance in reviewing, negotiating and red lining the roof and other telecommunications license/lease agreements.